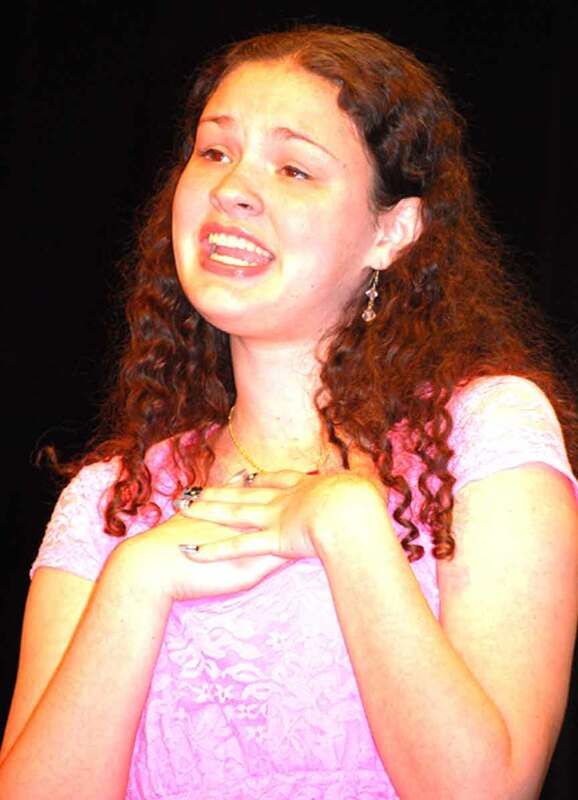 WILLOUGHBY - The Lake County Music and Drama Club (LCMDC) showcased six talented music students at the meeting held Friday, Oct. 12 at Fine Arts Association (FAA) in Willoughby. Three vocalists are students of Bob Godfrey, well-known instructor at FAA, and three instrumentalists are private piano and/or harp students of Carol Ford, a Music and Drama Club member. Nathan Park, a junior at Willoughby South High School and the Chagrin Falls Academy for the performing arts, has been taking voice lessons for two years. He has performed in “The Hunchback of Notre Dame” at FAA, and “Scoundrels” at Willoughby South High School. He will be in “Young Frankenstein” at Chagrin Falls Academy. He sang “This is the Moment” from Jekyll and Hyde. Brooke Kuhn, a sixth-grader at Madison Middle School, has studied piano with Ford for two years and plays the clarinet and hand bells at Painesville United Methodist Church. She performed several familiar tunes, including “Chopsticks” and scales. Ava Haehn performed both on the harp with her instructor Ford and on the piano, which she studies with Pamela Mariano. Among her pieces on the harp were “Scarborough Fair,” “St. Basil’s Hymn,” and “Jesu, Joy of Man’s Desiring,” One of her piano pieces was Chopin’s “Nocturne.” She is a seventh-grader at LaMuth Middle School. Max Kealoha, an eighth-grade student at John R. Williams Junior High School, made his fourth showcase appearance with “En Parade,” Schubert’s “Unfinished Symphony,” “The Breakers,” for his mom and others. He also participates in chorus at school and rings hand bells at PUMC. Elaine Courtney, president of the Music and Drama Club, introduced the program. Treasurer Carol Dedrich said since 1931 the club has given scholarships to organizations. Last year the organizations were Fine Arts Association, Rabbit Run Community Arts Association and Lake Erie College. LCMDC was started in 1923 by a group of women with a love of the arts and who wanted their musical enjoyment and friendship. Gabrielle Perusek performs “Popular” from Wicked.